Well the League season is pretty much over (apart form the odd re-scheduled match perhaps) and it’s almost time to hear the resonant ‘clack’ of those sandpaper-covered hard bats. 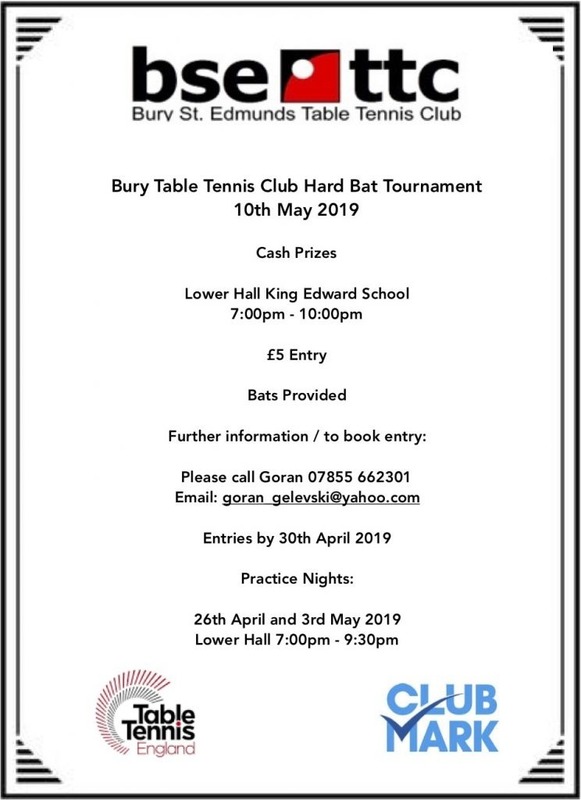 It’s a different sort of game to ‘normal’ table tennis; you don’t have to deal with fiendish spin but the hard bat game certainly has its own joys and frustrations. Nonetheless, it can be strangely compelling and you can sometimes beat players you wouldn’t get near in the normal game. For an insight into the history of hard bat table tennis, see Chris Smith’s article. It’s always a fun evening, whatever happens so if you fancy taking part, the details are below.